The Jamaica Agricultural Commodities Regulatory Authority (JACRA) is a statutory body which falls under the Ministry of Industry, Commerce, Agriculture and Fisheries (MICAF). It is responsible for the regulation, promotion, standardization and development of the agricultural commodities industry – which includes cocoa, coffee, coconut and the spices (nutmeg, pimento, ginger and turmeric). 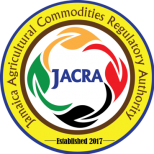 JACRA, which commenced operations on January 1, 2018, is an amalgamation of the Cocoa Industry Board, Coffee Industry Board, the regulatory functions of the Coconut Industry Board, and the Export Division of the Ministry of Industry, Commerce, Agriculture and Fisheries. It is regulated by the Jamaica Agricultural Commodities Regulatory Authority Act, which was established on March 14, 2017, pursuant to the Jamaica Agricultural Regulatory Authority Act of 2017. The necessity to effect concentrated focus on selected commodities in order to capitalize on the preferential trade arrangements which were then in place. Over time, the factors which catalyzed the establishment of the foregoing Commodity Boards have changed to the point where it now demands a re-orientation in their overall modus operandi. Along with mediocre trade results due to high overhead and inefficient processing facilities, there was the termination of preferential trade arrangements and the development of global free markets. Considering these factors, the government devised a policy to minimize its role in commercial activities, including the processing and marketing of these products, and to concentrate on the regulatory aspects through the Jamaica Agricultural Commodities Regulatory Authority.